My World Cup round ups move into the 21st century now with a trip to Asia and the first (and so far only) jointly hosted World Cup. This was probably the last tournament I properly enjoyed from beginning to end, and these are some of the reasons why. Prior to the 2002 World Cup, one thing was clear to most football aficionados. The French national team was going to have a very strong run in the competition. Having won in 1998 on home soil and then blasted past the best Europe had to offer in Euro 2000, it was difficult to look past the French as favourites. That was until the played South Korea in a friendly a few days before their opening game against Senegal. When they lost Zinedine Zidane to injury. France would have to play their opening two group games without the best player in the world. And so to the opening game, the last to involve a reigning World Cup winner, against Senegal. Senegalese football was at a peak in 2002, a point it has not been near since. 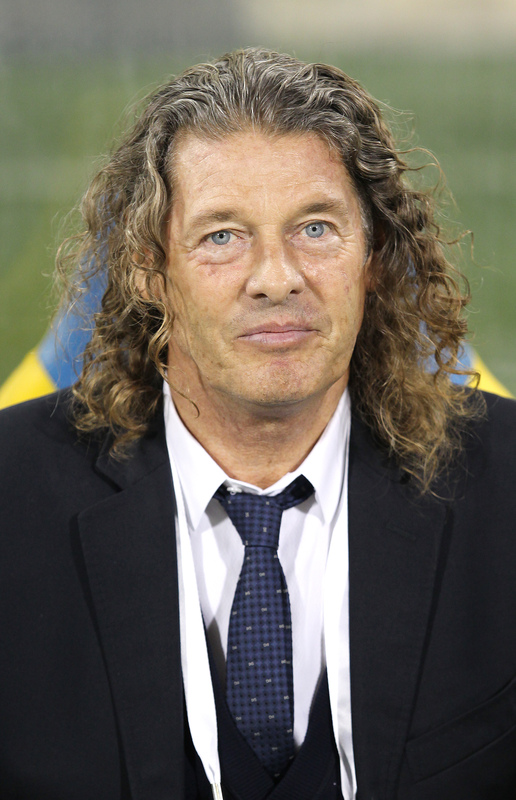 The late Bruno Metsu coached a side full of talented, hardworking players, with a young man by the name of El-Hadji Diouf at the centre of their attacking dynamism. They had been unlucky to lose that year’s Africa Cup of Nations final on penalties to a sleeveless Cameroon side. I remember predicting prior to the their opener with France that they would lose 3-1. As it was, I was only right about the 1. Senegal shocked the footballing world, beating the French 1-0 in Daegu with a goal from soon-to-be Premier League stalwart Papa Bouba Diop. Diouf was excellent, constantly harrying the French back line, and without Zidane Les Bleus were completely devoid of attacking ideas. With three points bagged from their first match, Senegal qualified for the last 16 with ease, drawing their next two group games with Denmark and Uruguay. They snuck past Sweden, before Turkey did the dirty on them in the quarter finals with a golden goal. The best African side in a World Cup since Cameroon – only Ghana in 2010 equalled the feat of reaching a World Cup quarter final. What a wonderful side Senegal were in 2002. It would be somewhat remiss to talk about 2002 without mentioning the host nation which surprised everyone in reaching the semi finals. While Japan reached the last 16 and put in a creditable performance in doing so, their peninsula-dwelling neighbours had other ideas. South Korea won a potentially tricky group, a win over Portugal being a particular highlight. In the second round, the co-hosts defeated perennial World Cup winners Italy, with Perugia player Ahn Jung-Hwan scoring the golden goal. Publicity whore and Perugia chairman Luciano Gaucci reacted by sacking his player. Refereeing controversies aside, the South Koreans further captured the imagination of the footballing public by beating Spain on penalties in the quarters, despite Spain having a clearly legitimate goal chalked off. The dream came to an end in the semi final against Germany, with the home team losing again in the third/fourth place play off, this time to Turkey. Their performance remains the best by an Asian side in a World Cup, with only Japan likely to get anywhere near a semi final either this year or in 2018 on the world’s largest continent. Ronaldo had too much on him in 1998. Theories abound as to what happened to him in the hours before Brazil’s 3-0 defeat to France – whatever it was, he flopped and his team went with him. Nothing was expected of him in 2002. Ronaldo took with him not only a ridiculous haircut, but some incredible goalscoring form to South Korea and Japan. 8 goals later, including 2 in the final, and Ronaldo’s turnaround to one of the greatest we had ever seen was complete. He continues to hold the record for World Cup finals goals, though there is every chance the slightly less deserving Miroslav Klose will break that record in the summer. More World Cup stuff soon – next up will probably be 2006, perhaps with 2010 bunged in as well given it was so terrible.